NISMO R32 GT-R on stock 16 inch wheels. 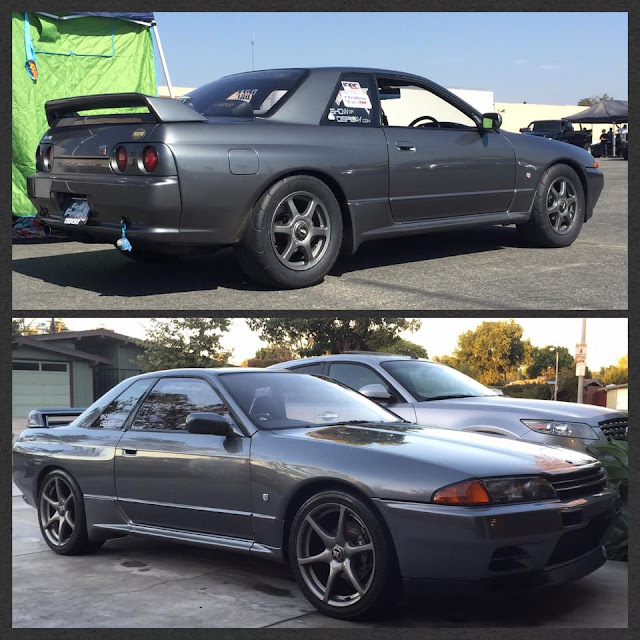 Do you have an R32 GT-R on stock wheels? 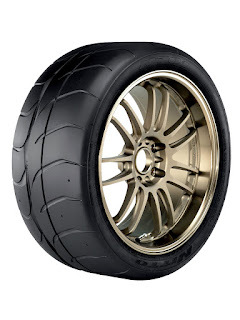 Not a lot of people keep the stock wheels, but if you are, and are looking for some performance tire options, what is out there? The stock wheels are a good OEM wheel. They aren't light, they are durable, and light enough. 16 inches by 8 inches wide, 30 offset. Stock tires are a 225/50/16. Can you run different sized tires front to back on a GT-R? Answer with why not here! 245/45/16 is 24.4 tall, which is 1.5 inches shorter. We have used the Bridgestone RE-71R, the R888, and the NT01 on street/track cars. They are all fast and predictable tires. 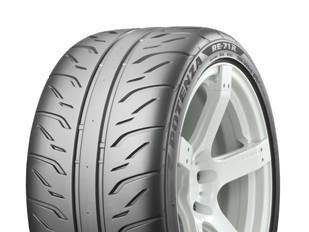 Our experience with the RE-71R is fairly limited, but extensive with the R888, and NT01. 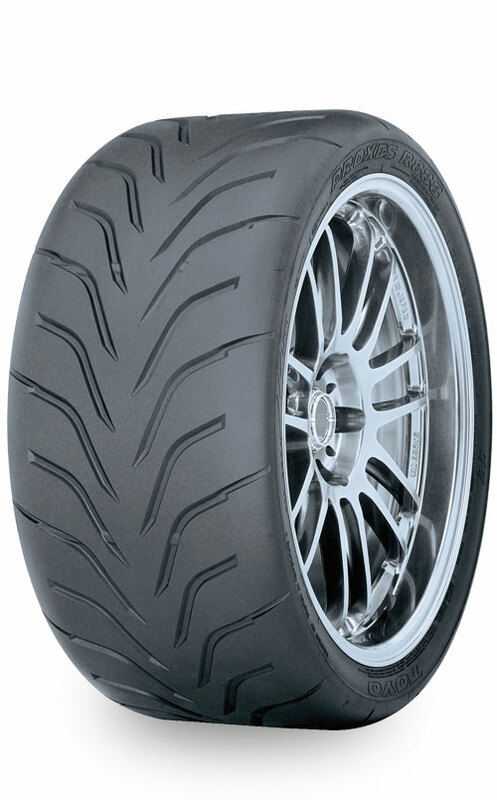 Both of them are very durable, and forgiving as a track day tire. They won't last forever, don't overheat them, and they will treat you well. NISMO on 16 inch Mickey Thompson Drag Radials, and 18 inch R888.